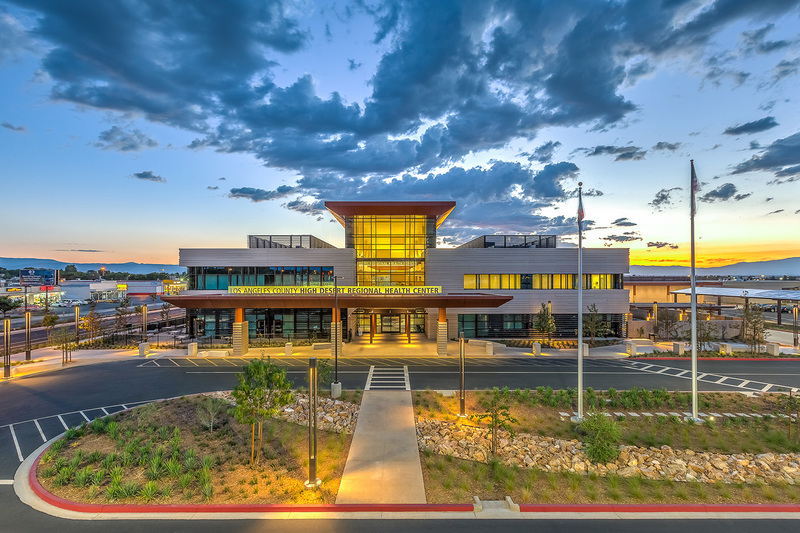 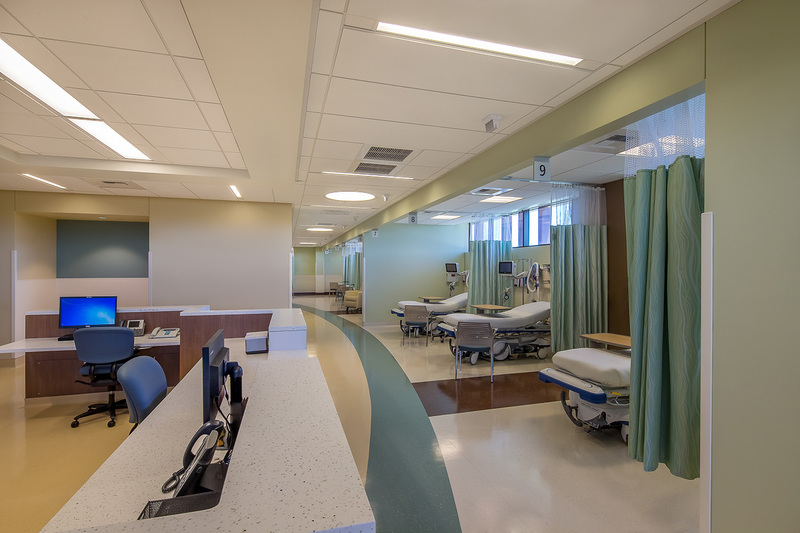 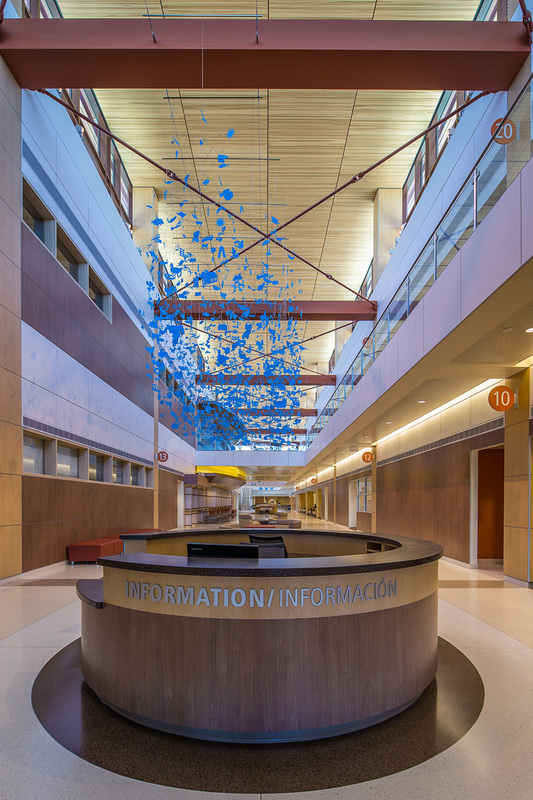 The High Desert Multi-Service Ambulatory Care Center is a full service, 142,365 square foot outpatient clinic located in Lancaster. 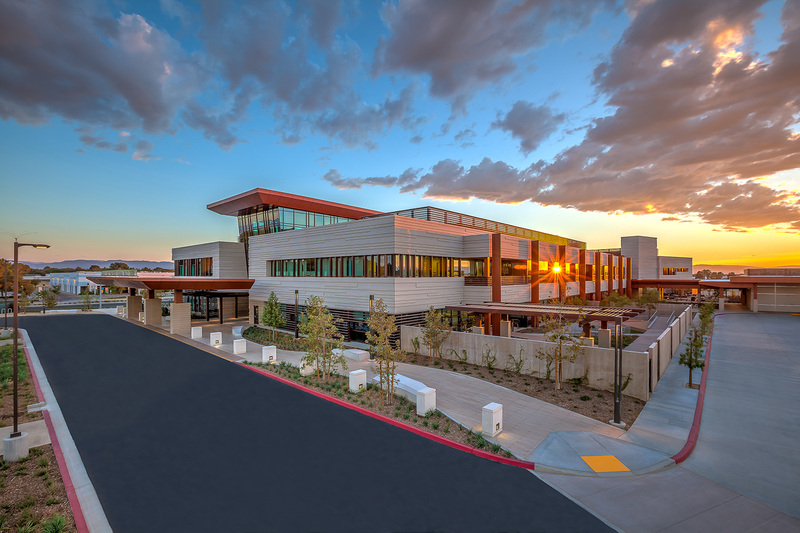 This facility replaces an aging clinic and increases the number of healthcare services provided for the high desert community. 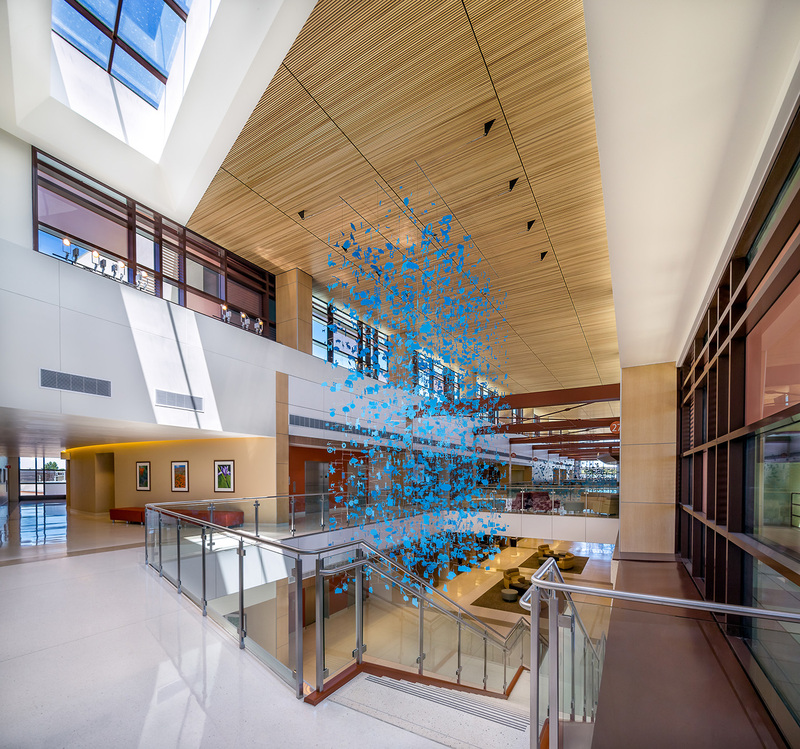 The new two story main building was designed using sustainable design principles and is supplemented with alternative energy generating resources that minimizes its carbon footprint in the region. 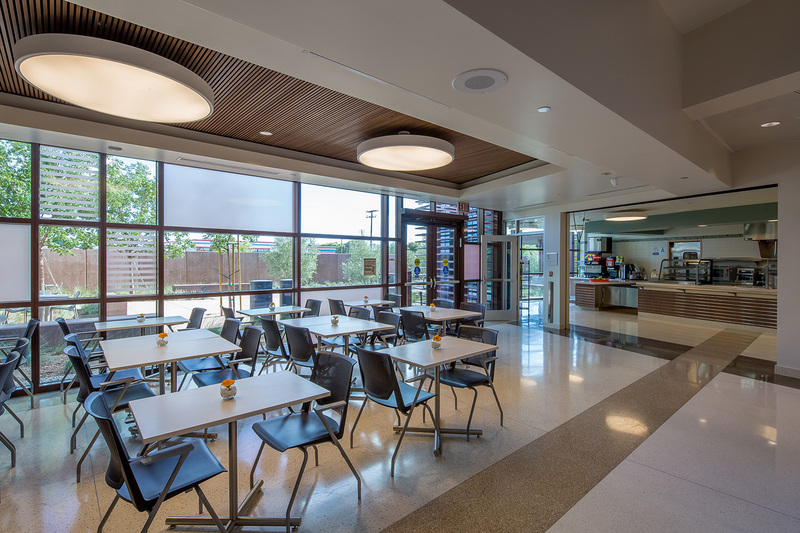 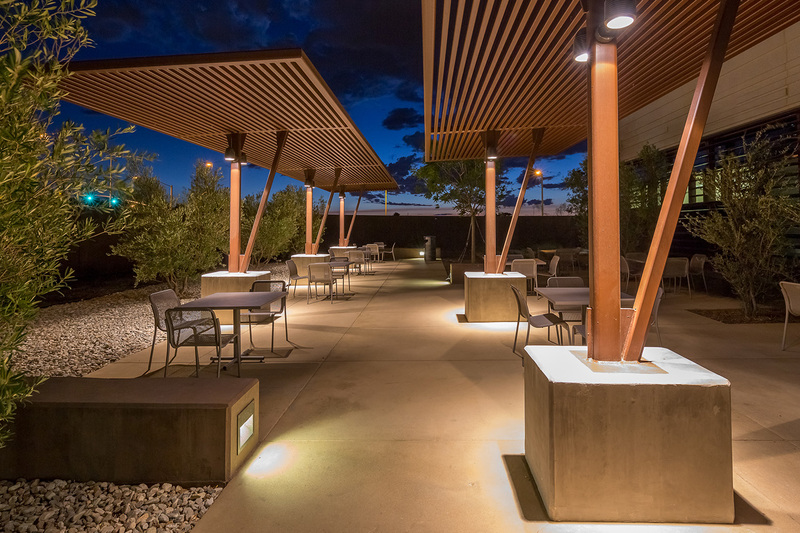 Sustainability features include pre-cast concrete, glass and metal panels on the exterior of the building, photovoltaic paneled covered walkways, groundwater replenishing site drainage systems and drought resistant plants native to the desert climate. 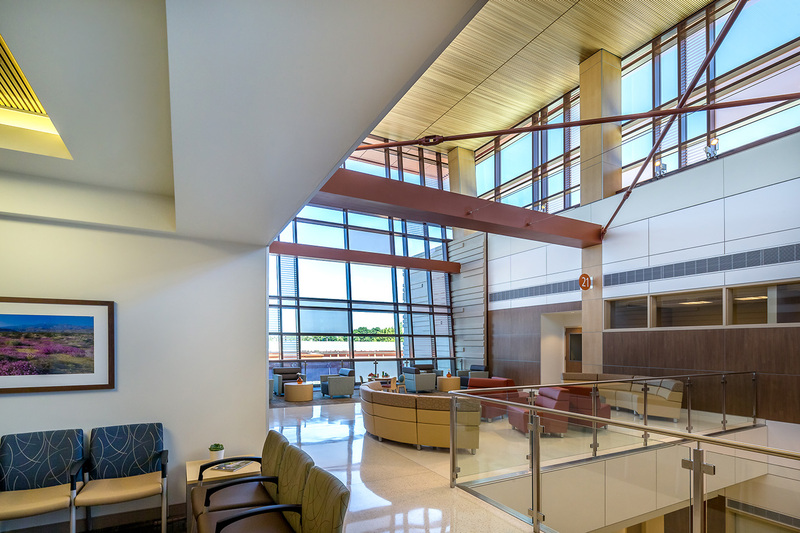 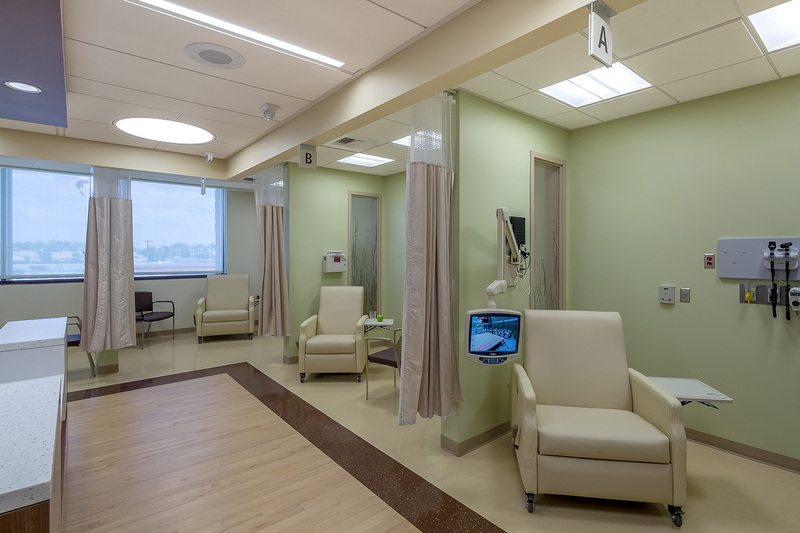 The project is LEED Gold.